Picking up where The Heart’s Journey Home: California Blend Summer Vacation leaves off, book two in the series follows seventeen-year-old Tori Logan as she and her best friends, AJ and Kalea, accompany Tori’s archeologist father to Israel. Tori Logan is used to her life looking a little different from the lives of other girls her age. She’s also used to having plenty of adventures, so when she and her best friends see an excavated quarry in one of Jerusalem’s most famous archeological sites, they waste no time checking it out for themselves. Adventurous and fiercely independent, Tori leads her friends into the quarry where they happen upon what appears to be a secret passageway. As the trio laughs and jokes, small rumblings turn into big quakes and the walls start to crumble around them. Kalea and AJ escape, but the site collapses before Tori can find her way out. 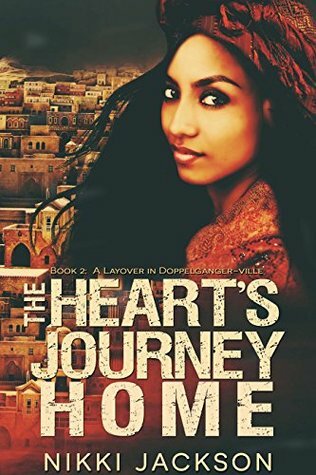 When she comes regains consciousness, Tori realizes she’s traveled back in time to ancient Jerusalem. With her quick wit and drive to survive, she concocts a story about why she, a foreigner, is there and finds shelter with a widow woman named Judith – who looks exactly like her father’s live-in girlfriend, Rachel. As Tori encounters other people who are spitting images of loved ones back at home, she must reconcile truths about herself with the hard realities about the situation in which she finds herself. But will these lessons last once she’s back at home? Will she even make it home? I have a weird fascination and its scary movies. I have sworn off them more times than I can remember because I actually find them so terrifying but like a little chocolate addict my hand finds its way back to the box. I can only blame it on a mildly warped fascination with the fact that that someone wrote, out of their own imagination, something that could cause such physical, emotional and psychological reactions in the reader (or if it’s a movie – the viewer). I remember back in the day when the movie The Exorcist debuted. It was 1973 and no movie like it had ever really be made and it was the scariest thing in town. To this very day I’ve never seen that movie. I read the reviews and watched the news spots and that was more than enough to keep me away from it. There were reports of moviegoers crying, fainting and throwing up (especially during the head spinning around part), all because they’d been so affected by what was going on with the little demon possessed girl. The scariest movie I’ve ever seen in life to date was The Ring. I got caught up in the premise: watch the video, get the phone call, dead in seven days. The curious side of my brain just knew there was a safe, logical way out of this and I wanted to see how the latest victim would beat the curse. I still don’t know how the movie ended. When that little kid came out of that well I started screaming. I was screaming at the guy watching this play out on his TV to turn it off and get out of there. He didn’t hear me. He just sat there spellbound while that kid came out of that well and was moving, like some weird stop-action closer and closer, and then shocks of shocks….when that kid climbed through the TV set….I’m surprised the neighbors didn’t call the police, I was a hot screaming mess. It was like she’d climbed through my TV set and into my living room. That’s the last thing I remember. I turned on every light in the house (why did I watch it at night, alone? ), made sure all the doors and windows were locked (twice) and I spent the night on the sofa with a blanket over my head praying to still be alive with the new day’s dawn. Here’s what’s so intriguing – that hot mess of a movie was first a writer’s creation. Somebody sat down and imagined it and then wrote it down. As traumatizing as that movie was to me, the thought that a writer wrote it is fantastic. Don’t you see? I was scared and traumatized and ready to throw-up and pee all at the same time – I was physically and emotionally and yes, psychologically effected and caught up and spent and I didn’t even last the whole movie! As a writer I don’t want to scare the bejeezus out of anyone, but I want to take the reader on an exhilarating, crazy wild rollercoaster ride. I want the reader to be giddy, shocked, angry, moved, excited, teased, floored, bowled over – and happily spent when they finish reading a book of mine. I want to pull the reader out of their present setting and take them on the journey of a story with me and my characters. I want to give the reader a break from life as they know it and I want them to eagerly join me on an imagined adventure. Sure, I’d like to make a million bucks writing, but when I really think about it? I’d rather prefer making a million friends. 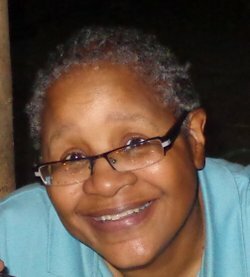 Nikki Jackson considers herself to be an Indie Writer, Journeyman and Traveler. She's camped out in the Grand Canyon just to see the sunrise over a stupendous backdrop and she yet dreams to travel to Mount Everest, not to climb any part of it but to simply stand at the North Base Camp and take it all in, in person. Nikki's love of adventure was inspired at an early age at the local library where she spent summers reading about young travelers going cross-country and around the world. She loved the adventures that took her out of the bottom bunk of her bed (her favorite reading spot) and had her soaring across the clouds to lands filled with wonderful and diverse people. It was then and there Nikki decided she wanted to be a writer - she wanted to have the same effect on people reading books had on her. The Heart's Journey Home is the beginning of the adventure.